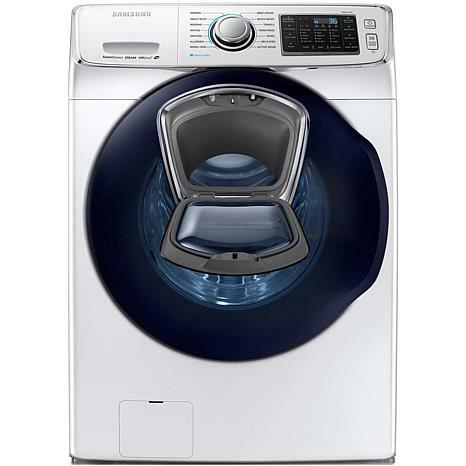 Washing clothes will seem like less of a chore thanks to the Samsung 6500 Series 4.5 Cu. Ft. Front Load Washer. It features a 4.5 cu. ft. capacity, so it can wash more clothes at once. 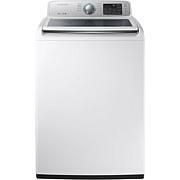 This front-load washer comes with AddWash, a convenient door-in-door features that lets you easily add a forgotten item, like a truant sock at the bottom of the hamper or your lucky shirt that didn't quite make it into the laundry basket. AddWash saves you time and energy because you won't need to run an additional load for a few items. Stains aren't created equal, so take advantage of 14 distinct wash cycles to effectively tackle everything from summertime grass stains to holiday dinner gravy spills. Remove deep stains gently with PowerFoam. 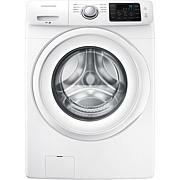 This feature helps evenly distribute detergent throughout the wash to help remove tough dirt and stains faster than regular detergent alone. 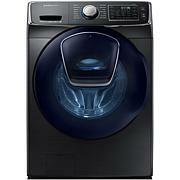 Washers and dryers use a 3- or 4-prong 240-volt outlet, not a standard 120-volt outlet. We recommend hiring a professional to ensure your wall outlet is wired properly. For product support or inquiries, please contact Samsung at 1-800-726-7864 or www.samsung.com. All the bells and whistles !! I love the option to be able to open the small front door to add laundry. So many times with my old machine , Id start the cycle, only to discover I left an item out . 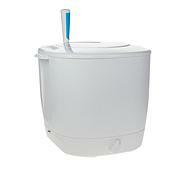 The self clean button is great , no odors in my machine . Worth the money !! I'm so please with this machine. Quiet and sleek. Arrived early only down side is it doesn't come with the hoses for this price. Overall a good purchase so far. Trust one of the world's top 10 electronics manufacturers to bring you fully integrated digital home entertainment solutions. Samsung is a cutting edge innovator featuring multiple digital electronics products that interface with one another perfectly. Watch and listen with a variety of TVs, MP3 players, digital cameras and more. Enjoy a digitally-enhanced entertainment experience you have to see and hear to believe! Remind me about Samsung upcoming shows.